Keep your controllers charged and ready-to-use with the Charge Block Duo from Nyko. 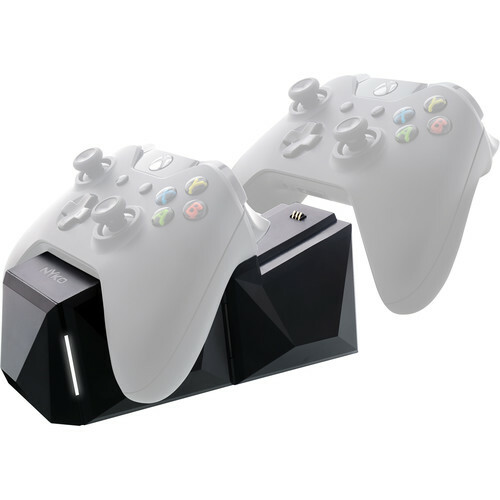 This docking and charging station is designed to fit two Xbox One controllers and is USB powered, so you can plug it into a USB port or a wall charger for fast charging. Moreover, its slide-in design ensures the controllers are secured in place. You can also chain multiple Charge Blocks together, even from different platforms, to form your own custom charging station. Please note that connecting more than two Charge Blocks require a USB 3.0 connection.